Employers in Ontario will no longer need employment standards’ permission for employees to work excess weekly hours or to implement overtime averaging agreements, if proposed employment standards amendments become law. 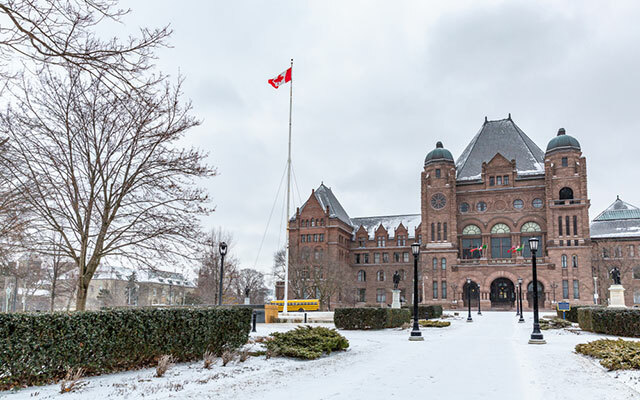 The proposed changes were included in Bill 66, Restoring Ontario’s Competitiveness Act, 2018, which the government tabled in December before the province’s legislature adjourned until mid-February. The bill proposes changes to more than a dozen laws, including the Employment Standards Act, 2000. Todd Smith, the province’s economic development minister, said the amendments would eliminate red tape for businesses. “The amendments... will cut business costs, harmonize regulatory requirements with other jurisdictions, end duplication, and reduce barriers to investment,” he said. The employment standards proposals would eliminate a requirement for employers to apply to the employment standards board for approval to have employees work more than 48 hours a week or to average their hours over two or more weeks to determine if they are entitled to overtime pay. The act limits employees’ work hours to a maximum of eight per day (or the number of hours in the worker’s regular workday if more than eight) and 48 per week, with some exceptions. Next, they must apply to the director of employment standards for permission to implement the excess hours. If approved, employees are allowed to work the number of excess weekly hours, which may be less than the number the employees agreed to work. The process also requires employers to post the application and the approval in a visible workplace location. Employers have needed employment standards’ (Ministry of Labour) approval for employees’ weekly hours to exceed 48 since 2005. From 2001 to 2005, permission was only required for work beyond 60 hours in a work week. Prior to that, permits were mandatory. In a 2017 report reviewing the province’s employment standards rules, provincially appointed special advisors Michael Mitchell and John Murray questioned the need for the current approval process. “The return to the need for ministry approval was in part a response to criticism that without the requirement for ministry approval, the law was effectively making possible the 60-hour workweek,” said the Changing Workplaces Review report. “In general, it appears that the ministry currently does not exercise any substantial or meaningful policy judgement or framework within which these applications are evaluated. Applications for hours beyond 60 are scrutinized,” said the report. “Nor are we convinced that the ministry should apply its mind to those kinds of decisions. If for 10 years the ministry has just approved virtually all the applications and we have heard no outcry that there has become a standard, or prevalent or even contentious pattern of 60-hour work weeks, then there is no basis for maintaining the requirement,” it said. The report recommended eliminating employment standards’ approval for having employees work 48 to 60 hours a week, but maintaining it for hours in excess of that. “It appears to be wasteful, unnecessary, and misleading to continue this requirement for ministry approval of workweeks between 48 to 60 hours and just creates unnecessary paperwork and regulation,” said the report. Despite the recommendation, the previous government did not eliminate the permits when it made wide-ranging amendments to employment standards. Similar to the excess hours permit, employers who want to average employees’ hours of work to determine if they are eligible for overtime pay must obtain both the employees’ agreement and employment standards’ permission. As the name suggests, overtime averaging allows employers to average employees’ work hours over periods of two or more weeks to determine if they are entitled to overtime pay. Without an averaging agreement, employers must pay employees overtime pay if they work more than 44 hours a week. In determining whether to approve an averaging agreement, employment standards said it examines factors such as why the employer wants the agreement, whether it has “clear benefits” for employees, the employer’s history of complying with employment standards rules, and whether there are any health or safety concerns. Like excess hours permits, overtime averaging rules have changed over the last two decades as governments of different political stripes have taken office. The current rules stem from 2005. From 2001 to 2005, employers did not require approval for averaging over periods of up to four weeks. Prior to that, permission was required. The amendments proposed in Bill 66 would again remove the approval requirement. Employers would be allowed to average overtime hours over periods of two or more consecutive weeks if they had the employee’s written agreement and the averaging period did not exceed four weeks. To be valid, the agreement would have to have a start date and an end date, which for non-unionized workplaces could not be more than two years after it began. Averaging agreements already in place could continue until they were revoked or expired. The Changing Workplaces Review cautioned against the widespread use of overtime averaging agreements, saying they undermined employees’ rights to overtime pay for working additional hours. “If the number of hours that attract the premium can be averaged over a number of weeks, the protection of the law and the premium for working inconvenient hours is lessened and undermined,” it said. The report recommended limiting averaging agreements to certain situations. “Overtime averaging should only be permitted where it would allow for a compressed workweek, continental shift or other flexibilities in employee scheduling desired by employees, or to provide for employer scheduling requirements where the total number of hours worked does not exceed the threshold for overtime over the averaging period,” said the report. In addition to eliminating approvals for excess weekly hours and overtime averaging, Bill 66 proposes to do away with a requirement for employers to put up employment standards posters in their workplace. They would still have to give employees a copy of the most recently published poster within 30 days of beginning work. Business groups generally applauded the proposed changes. In contrast, labour groups have decried the proposals. “Removing regulations does nothing to create good jobs,” said Chris Buckley, president of the Ontario Federation of Labour. The bill has not yet been passed in the Ontario legislature.